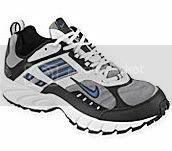 JC Penney online has several Athletic Shoes on sale for $39 each. Save $10 off $25 with code code ITSOVER. Shipping is free. Through September 28th, JCPenney.com extra 40% off clearance shoes for men, women and kids when you enter the promo code 40SHOES at checkout (note some exclusions do apply). Shipping is FREE on orders over $99 or get FREE shipping to the store with a $25 order. You can also to print a coupon valid for $10 off $25 apparel, shoes, accessories, fine jewelry & home purchase valid to use in-store only through September 28th.